I am cloning a site but each time it hangs on “Duplicating Site Container” and then I get an error message that the site container is missing. And me… any joy anywhere else? @digiden What version of Local are you using? Windows/Mac? Do you have faster docker volumes turned on? Would you mind posting the log file? @thinkpath Have you seen this same issue after upgrading and such since Nov? I’m having this same issue. Local just seems to hang when I try to clone a site. I have already sent all of that on the support ticket! I’ve got this exact same issue and it is incredibly frustrating. I downgraded to v3.0.0 and it was still an issue. This lead me to believe it was rather something to do with the virtualisation. 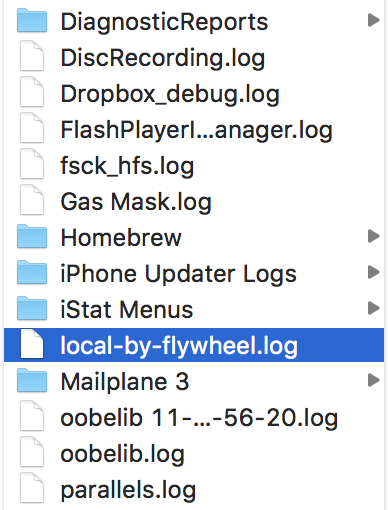 ~/Library/Logs/local-by-flywheel.log showed me some interesting things. Jan 26, 2019, 11:01 AM GMT+13 - warn: [main/SiteModel] wpInstalled not returning "installed" . So I changed the environment for the site I was trying to clone. In my case I just changed it from custom to preferred. Then the clone worked. I did this for another two sites and I confirm that this is a working fix. My preliminary thoughts are that it appears that each new version of Local introduces new revisions of available PHP versions. Sites that are configured to use a custom environment might be ‘stuck’ on a particular version that no longer exists in the new revised list. Just a guess. This may be the reason ‘wpInstalled’ is returning a falsey value and therefore hangs the cloning process. Sorry, newbie here. I can’t see how to do this in LBF. Can you tell me how exactly? Thanks. Ah…think I figured it out…site needed to be running in order to be able to click ‘Change’ button. I upgraded to 3.0.4 but had the same problem. However, I went to Help > Restart Local Machine and that seems to have fixed the issue for one clone I just did.